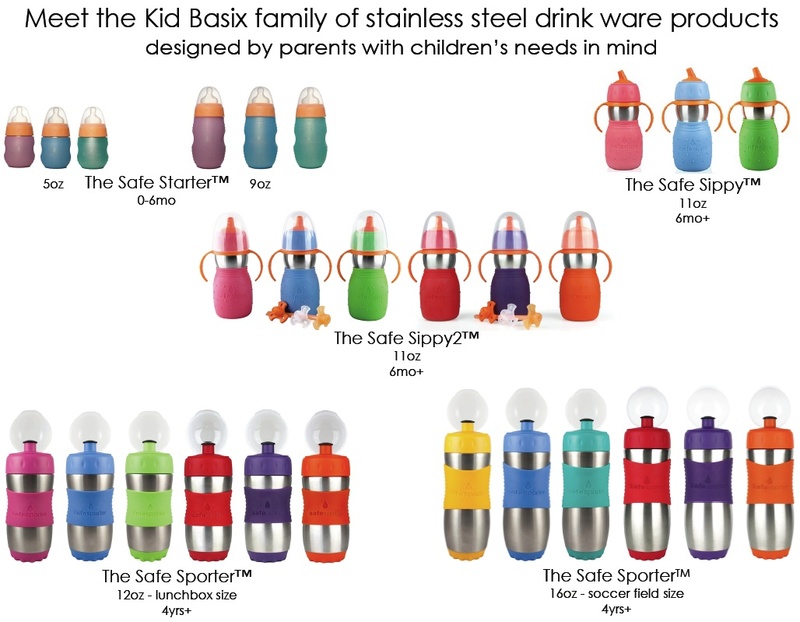 I recently did a review (click HERE to read) of the Safe Sporter stainless steel bottle by Kid Basix. Now it's your turn to win! Win It: One lucky winner will receive their CHOICE of ANY Kid Basix product in their choice of color. Check out the picture below to see what you can choose from OR visit Kid Basix for more information about each product. RULES: You must be 18 or older to enter and live in the US. Giveaway ends 3/20/12 at 11:59 pm eastern time. One winner will be picked using Random.org and emailed. Winner will have 48 hours to respond or a new winner will be picked. Use the Rafflecopter form to enter. Disclosure: I received no product or compensation for THIS giveaway post but DID receive a complementary sample for the review post. I would pick The Safe Sporter! I would get the Safe Sporter. I like the original safe sippy in green. I would choose the Safe Sippy 2. I love the safe sporter. I'd go with the safe sippy 2 or the safe sporter. I would choose the Safe Sporter. Thanks for the awesome giveaway! I like the safesippy 2. I'd choose the Safe Sippy 2! I would choose the safe sporter. Thanks for the giveaway. The safe sporter for the older one and the safe starter for the youngest and the sippy for later.